Adults have reddish-brown tail feathers that gave them the name 'Red-tailed hawk'. Females are larger than the males. Their body length is 18 to 26 inches and their wingspan is 41 to 55 inches. The color of their plumage tends to vary and different morphs are known to occur. Red-tails reach sexual maturity at two years of age. they are monogamous living with the same companion for several years. They often use their nest from previous years. Females lay 1 to 3 eggs during Spring. 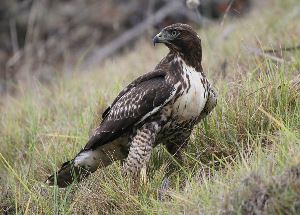 Red-tailed hawks are popularly used in falconry. 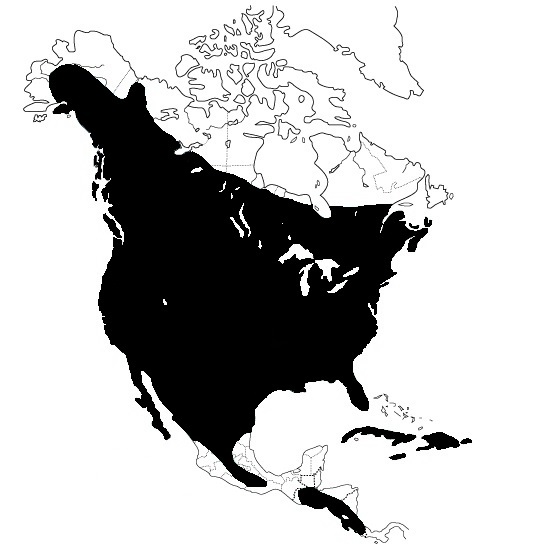 This species is sacred to the indegenous peoples of America. The red-tailed hawk was rescued from the wild with a wing injury.